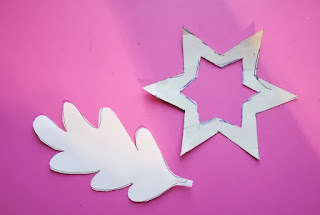 Draw a maple leaf, cut it out. 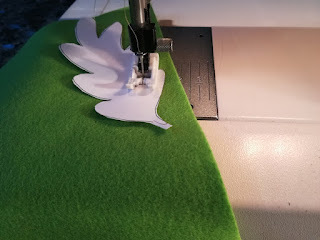 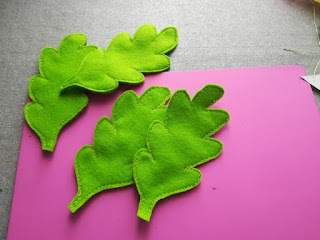 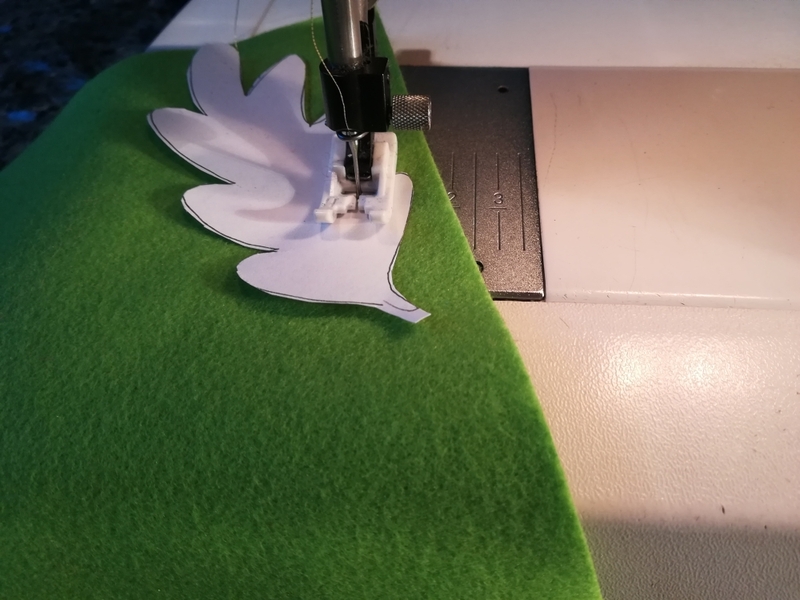 Put maple leaf on 2 layers of felt, sew around it, use golden thread for your sewing machine. Cut out the leaf, prepare a few.